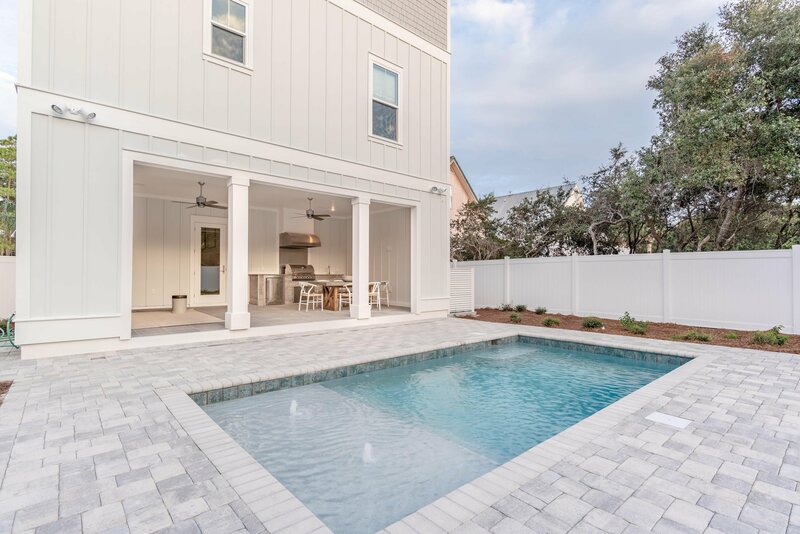 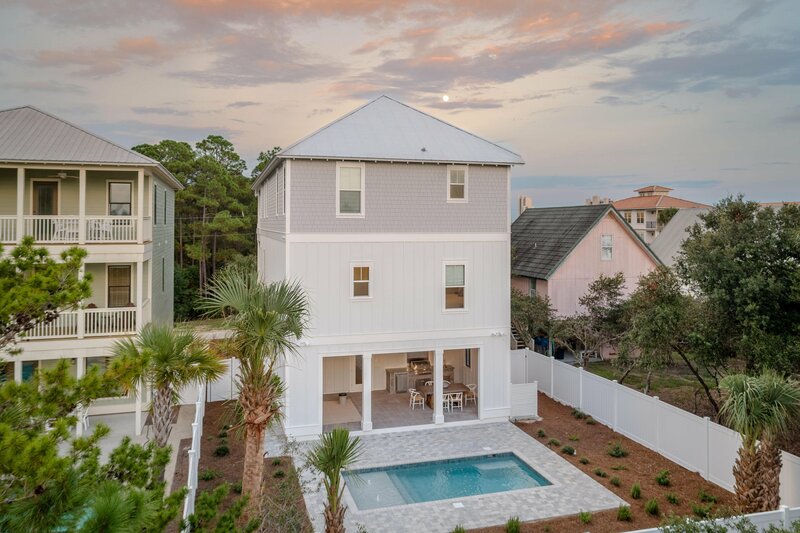 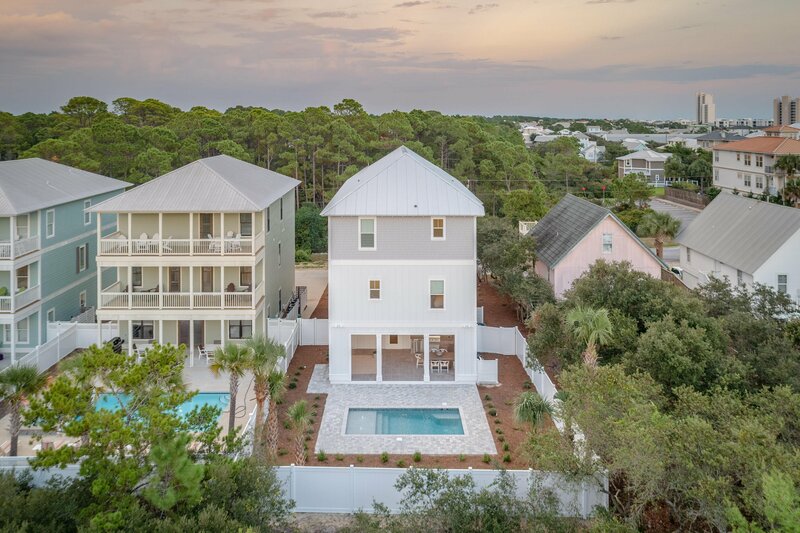 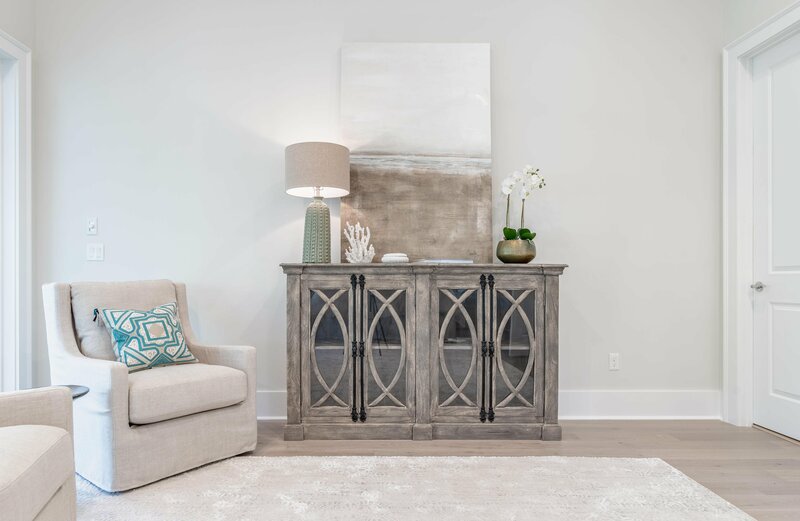 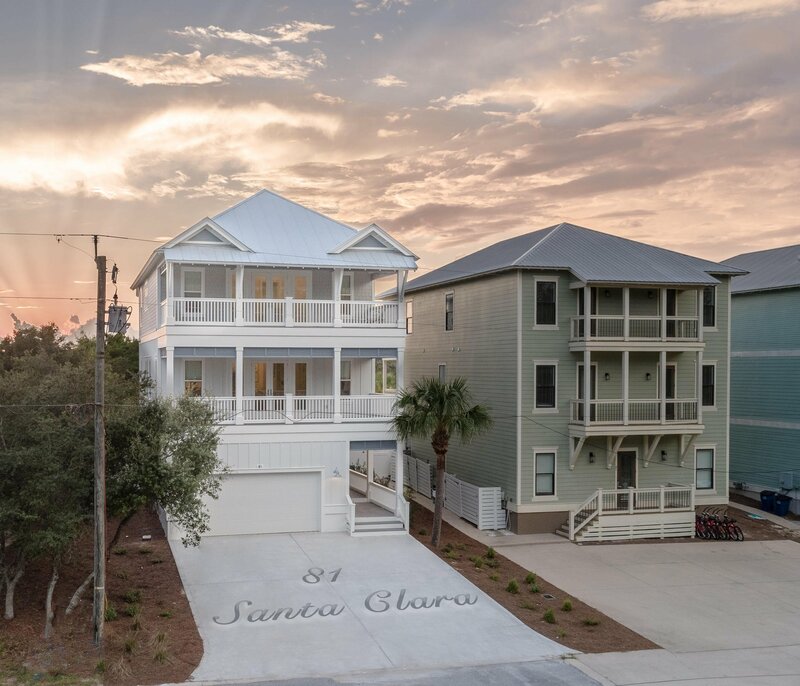 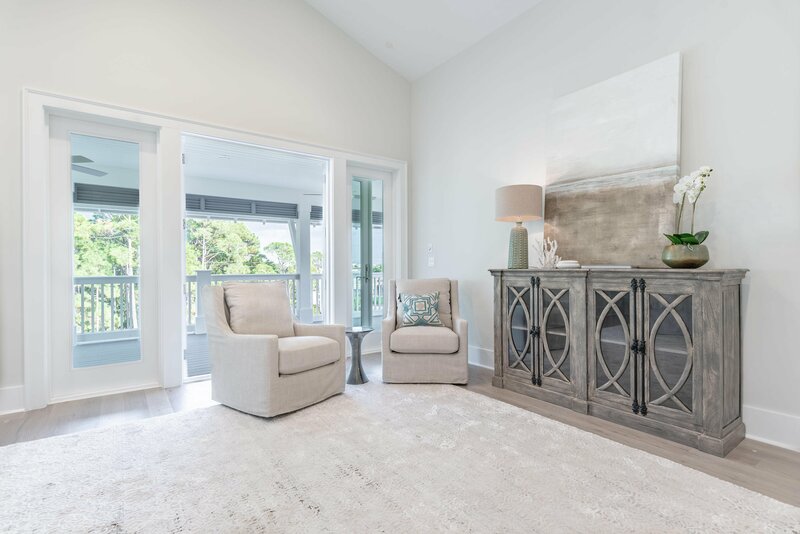 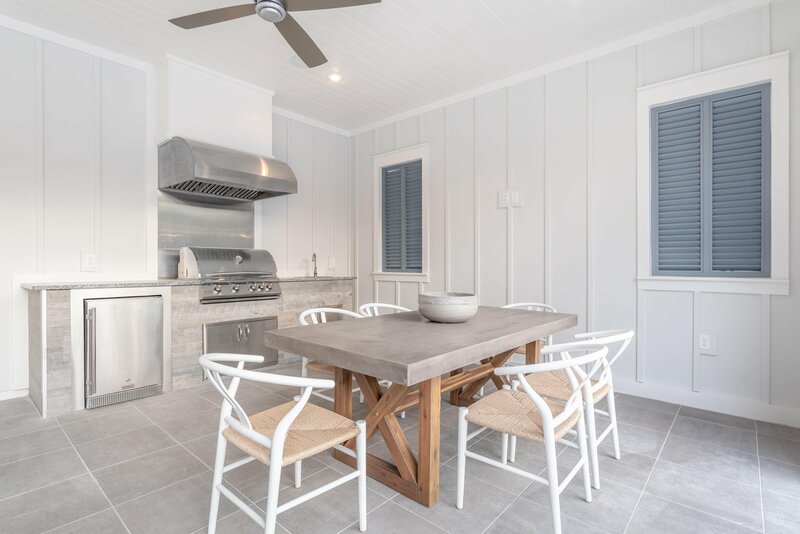 Stunning new construction in Seagrove! 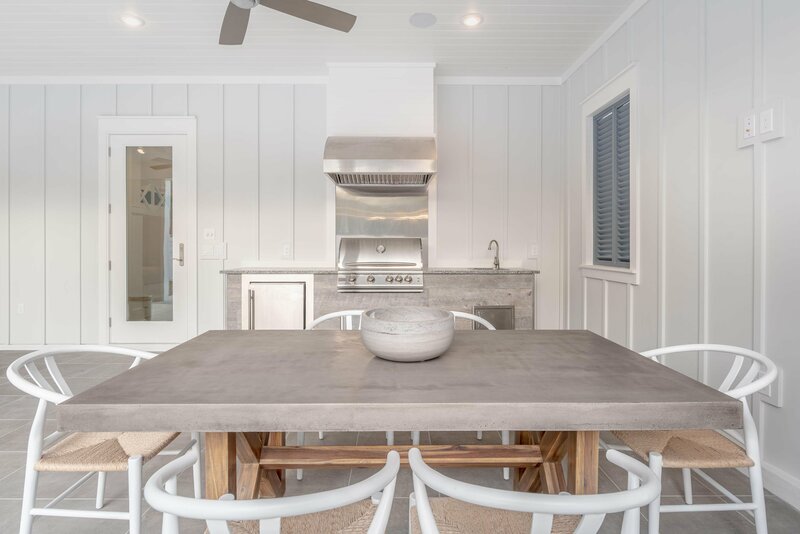 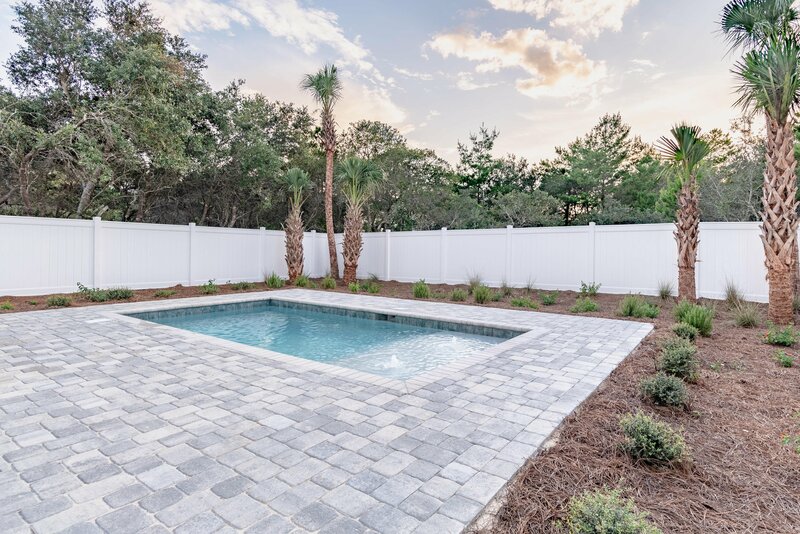 This exquisitely appointed, new construction Florida Cottage is located just a few lots north of Hwy 30A. 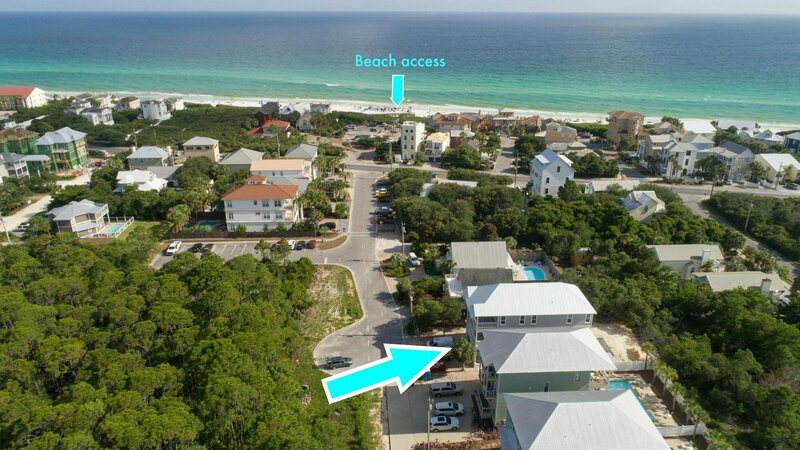 The beach access is directly south at Bramble Grove with parking, restrooms, lifeguards and handicapped access. 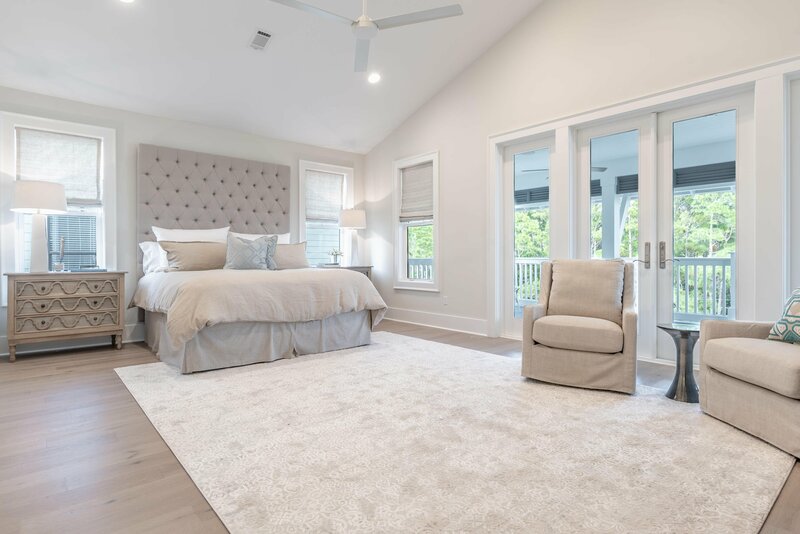 This majestic home was built by the highly sought after marquis builders Cogent Building Group who are known for their commitment to excellence. 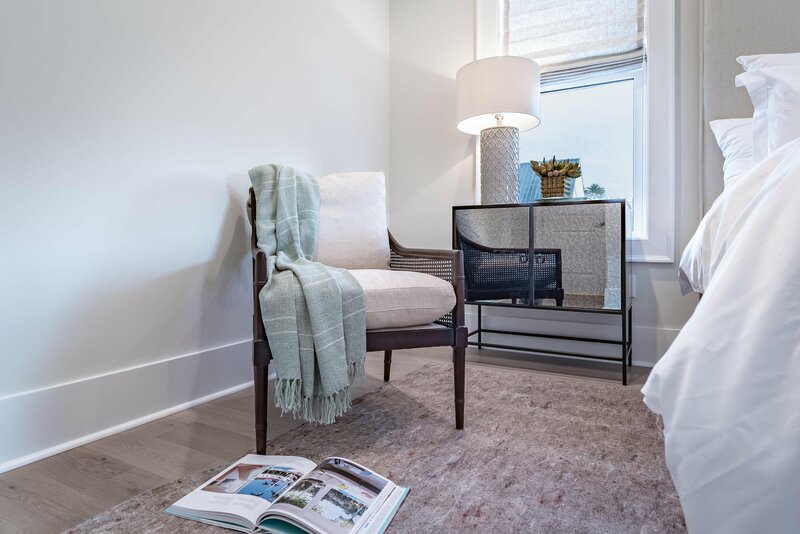 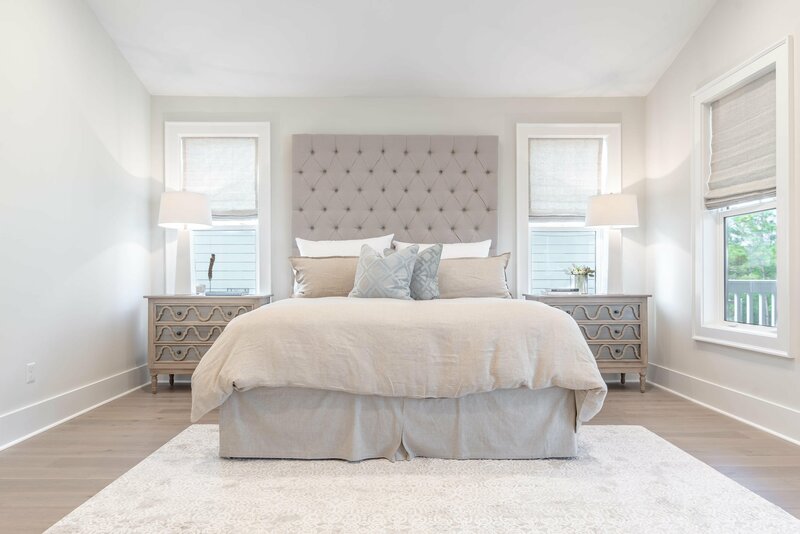 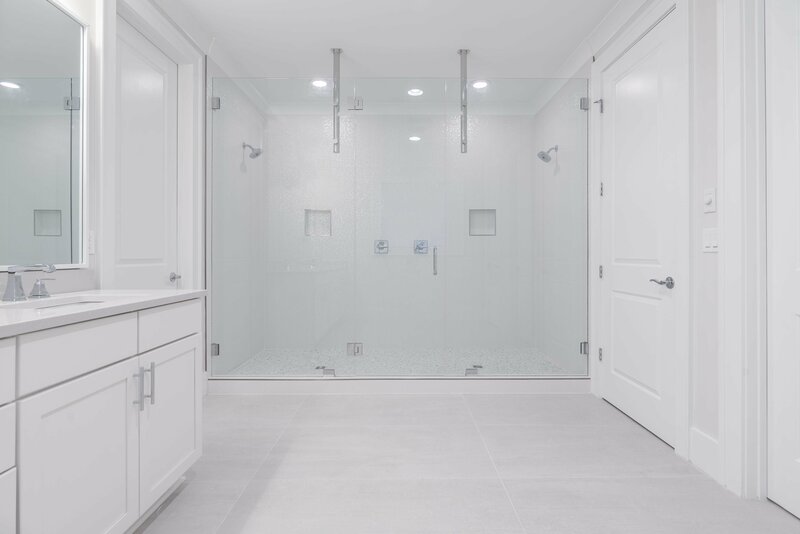 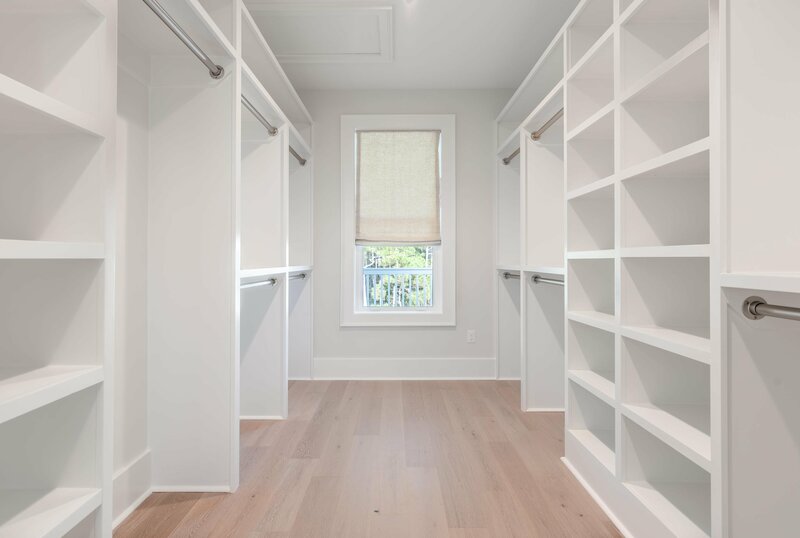 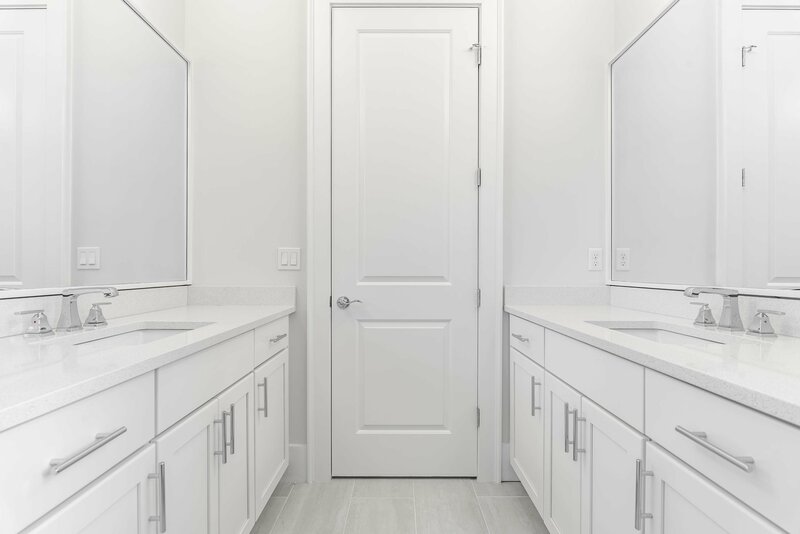 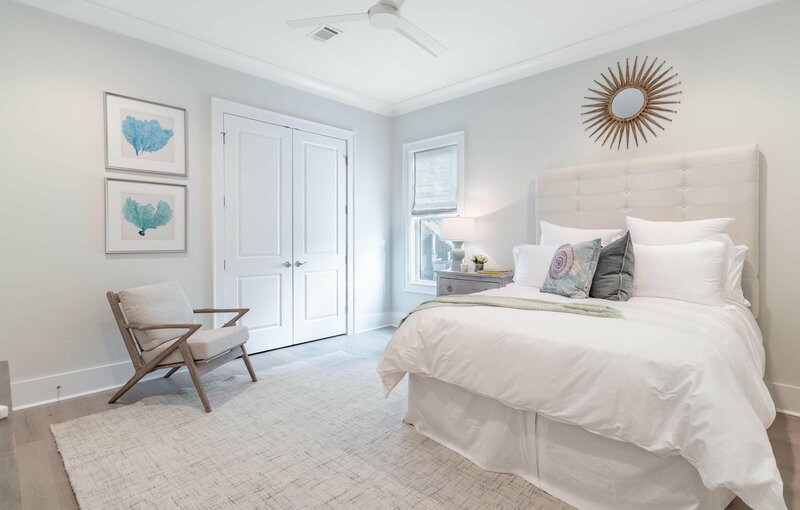 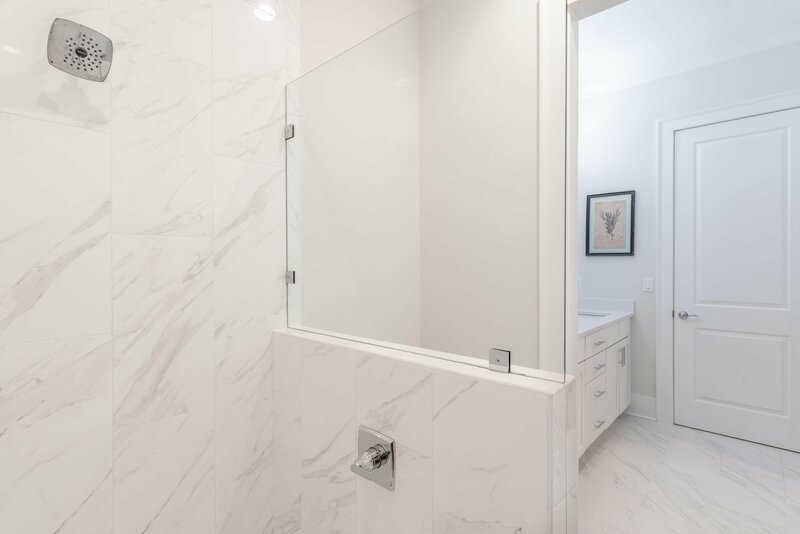 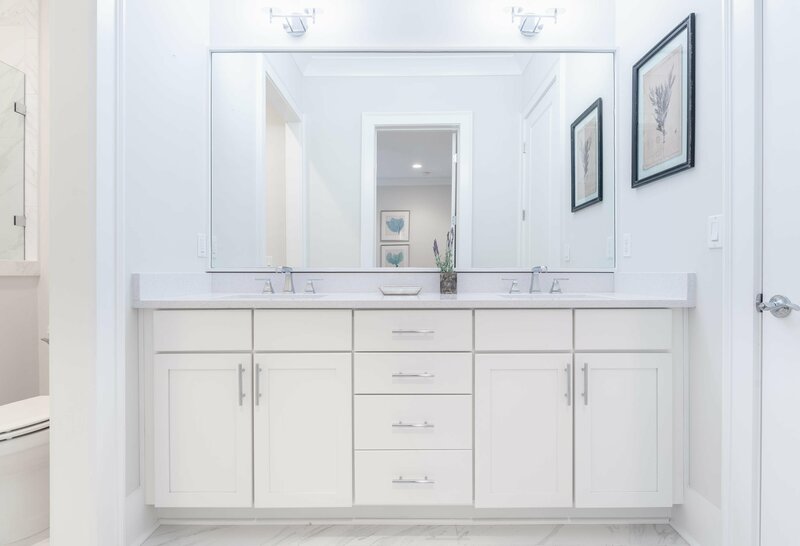 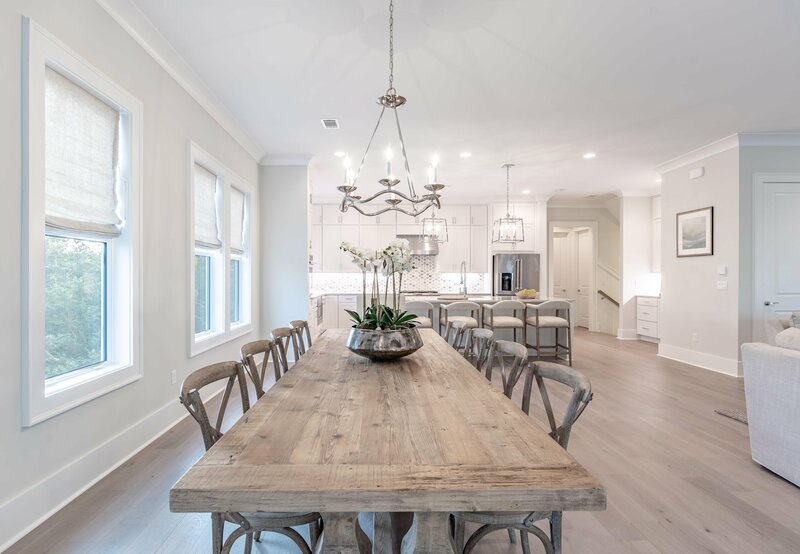 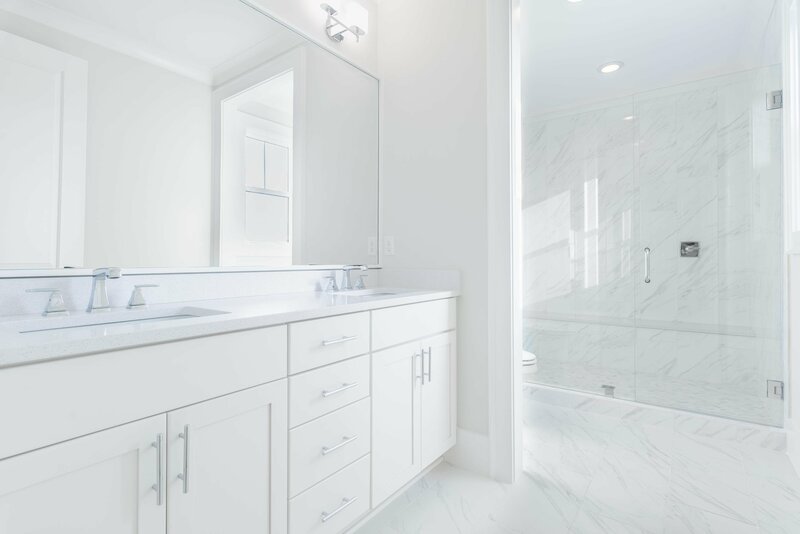 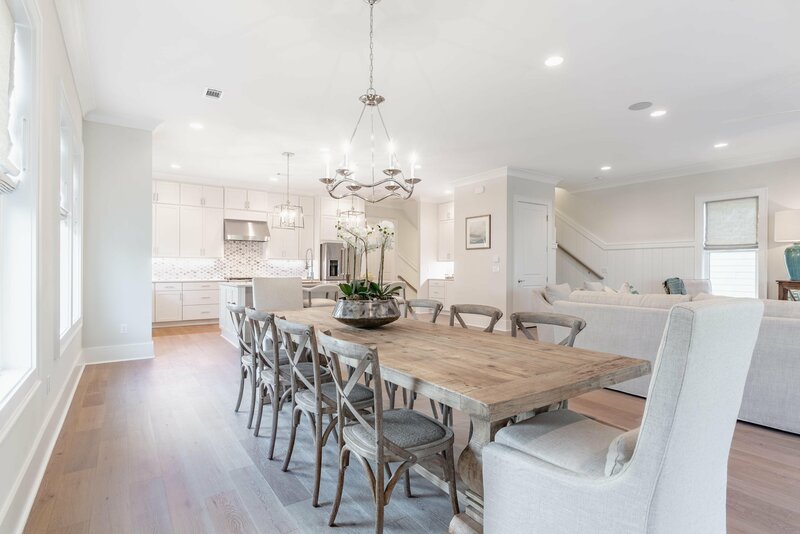 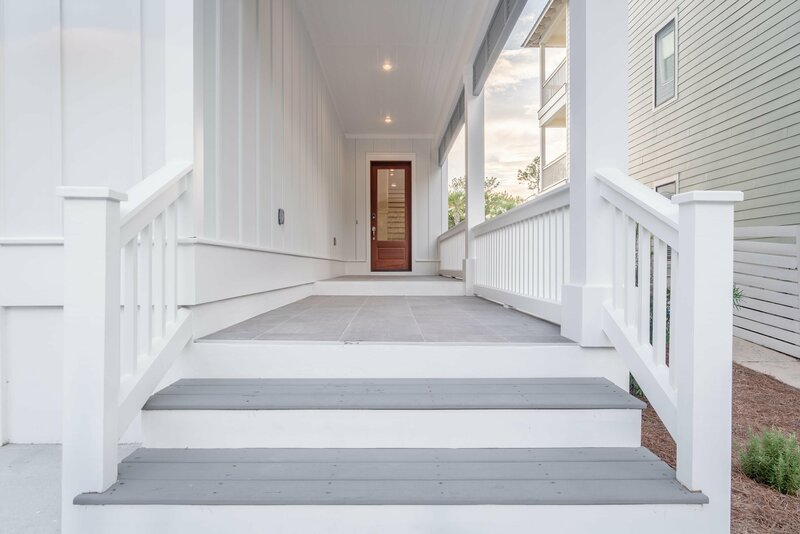 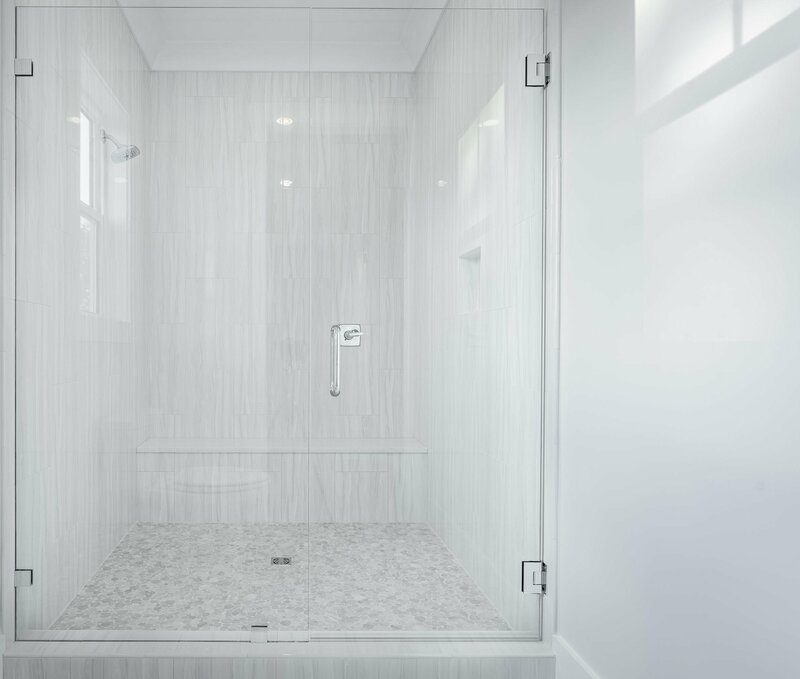 Their accomplishments in the home building industry have earned them awards and distinguished recognition in custom home construction, commercial buildings and land development. 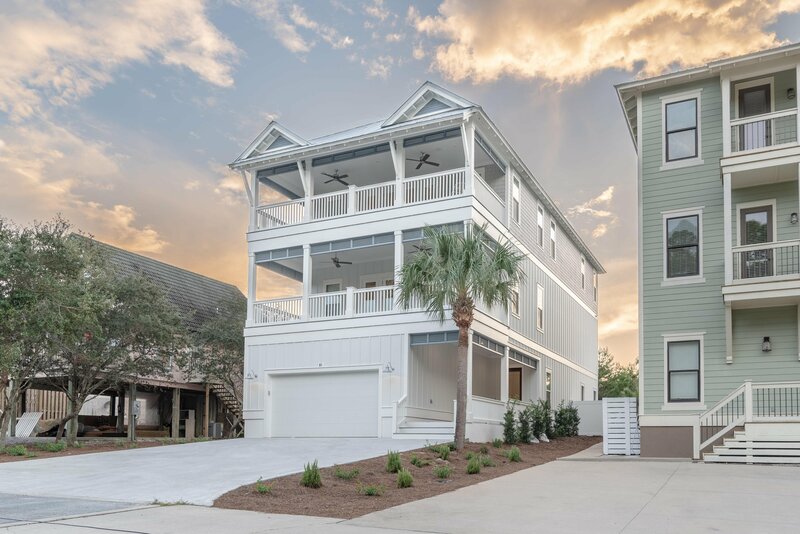 This high end luxury home offers 3 floors of superb and well-designed living space to accommodate lots of family and friends. 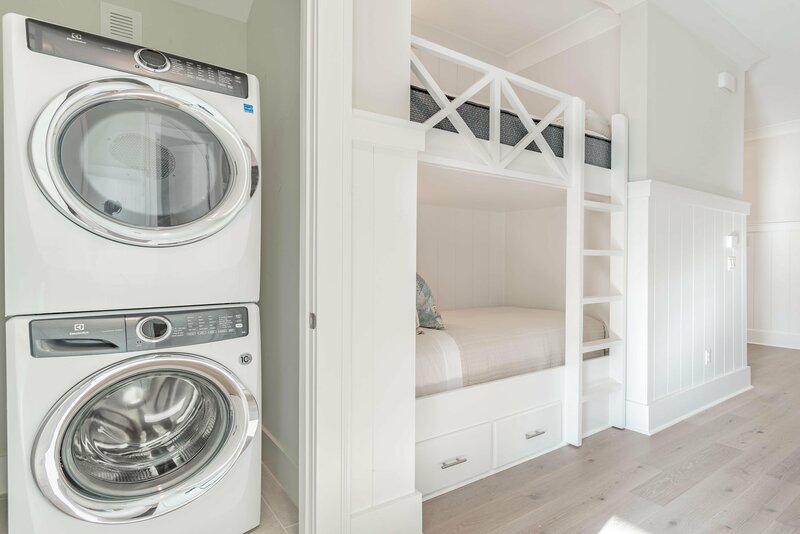 The first floor has a bunk room, laundry and 2 car garage, along with a full bath. 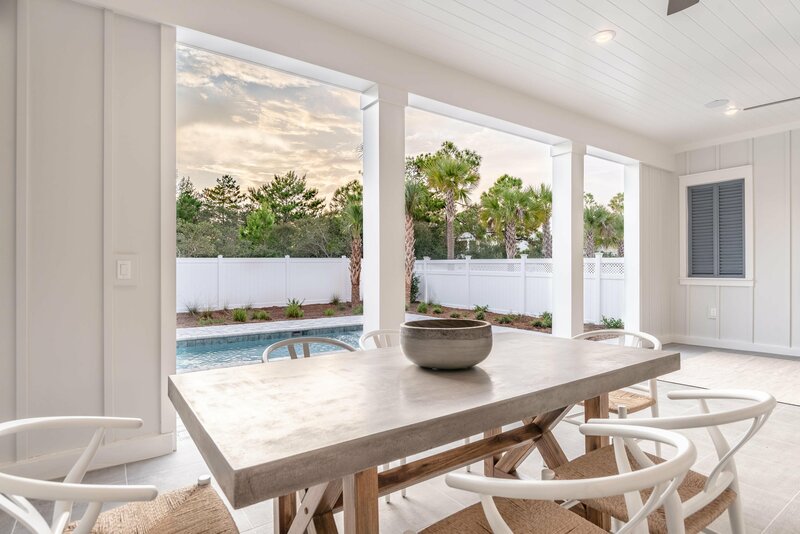 The back opens to a large covered porch with an immaculate summer kitchen, a large fenced yard, a salt water pool and an outdoor shower. 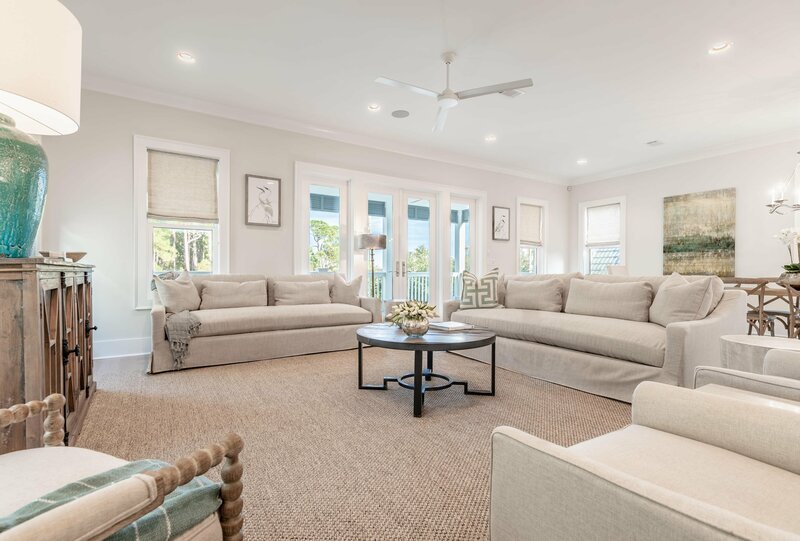 The main living area is on the 2nd floor. 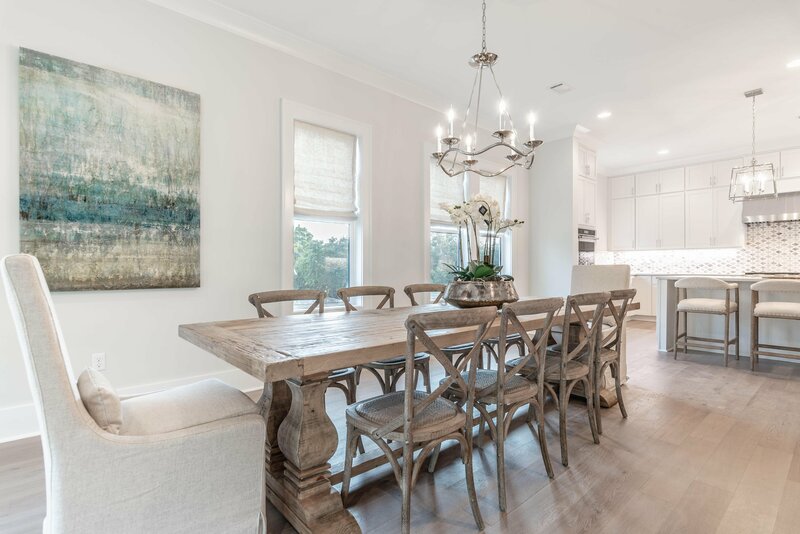 It features a large open space, lots of sunny windows, raised ceilings with crown molding, and beautiful European oak floors. 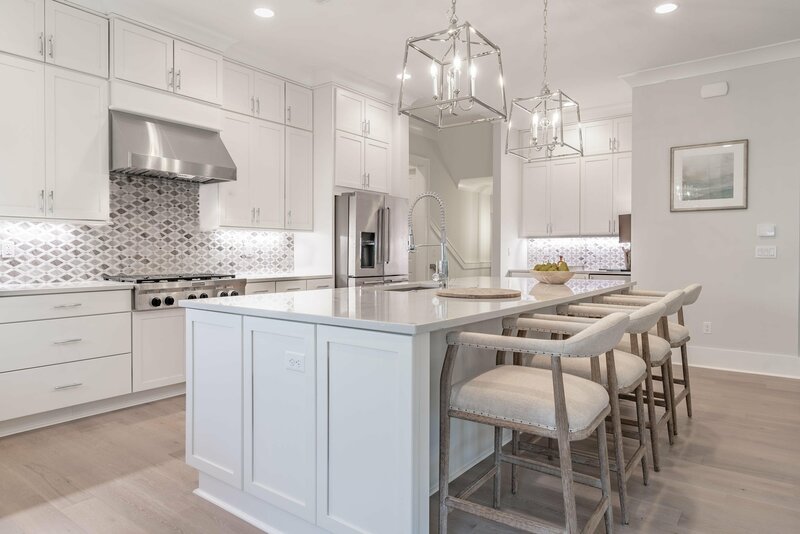 The state-of-the-art gourmet kitchen will blow you away! 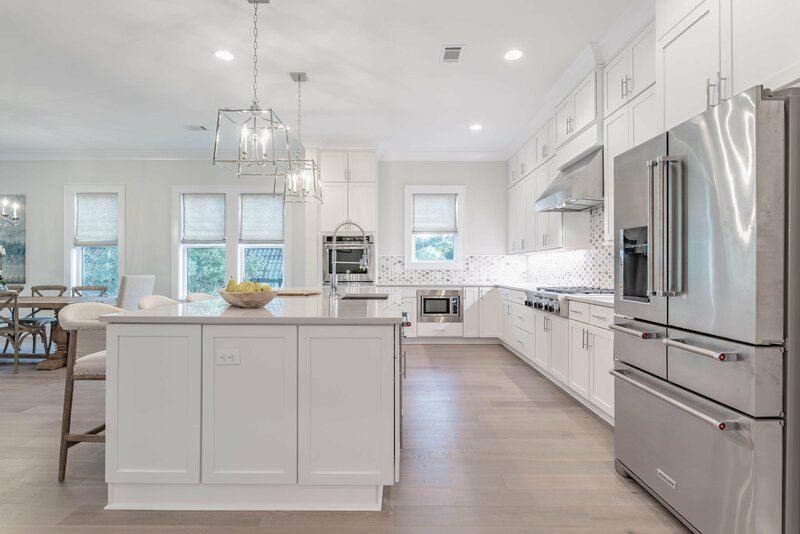 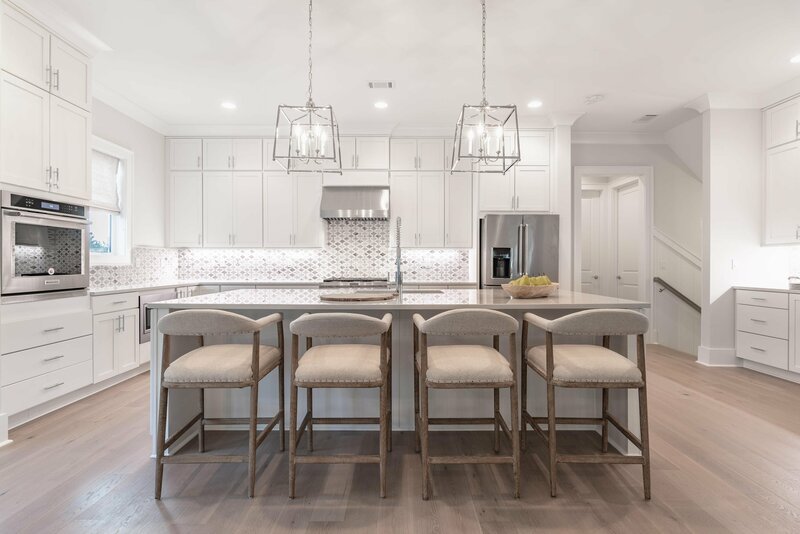 The generous space can accommodate several chefs at once, with stainless steel appliances, a large island with a breakfast bar, quartz countertops, custom cabinets and drawers. 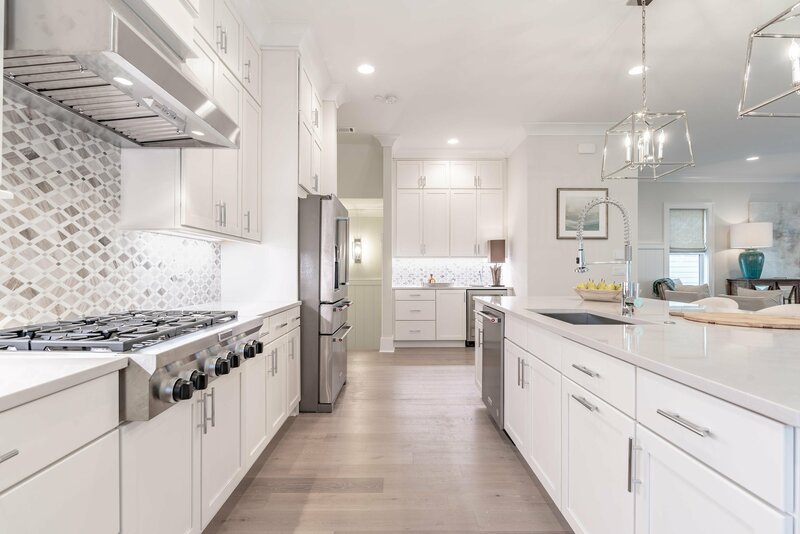 Extra features are a 6 burner gas stove with a griddle, an oven hood, a large oven and a second separate oven, a wine fridge, ice maker, and an over-sized refrigerator and freezer. 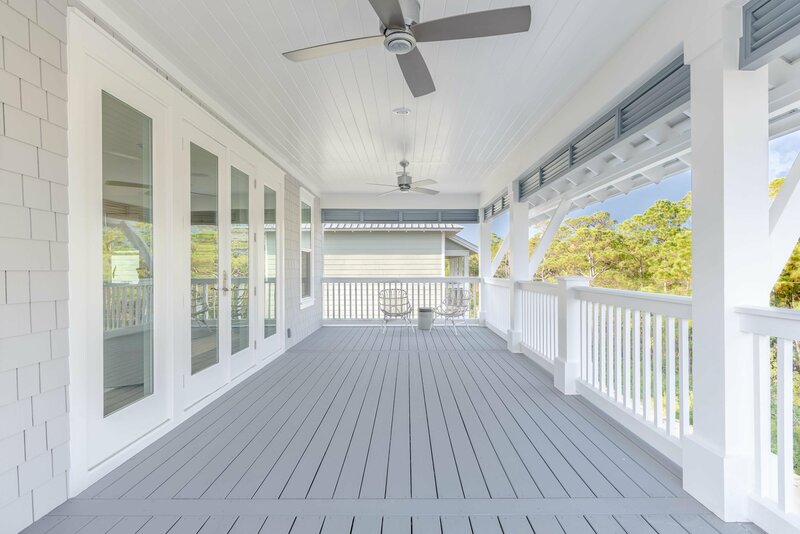 The dining and living room areas are spacious with a nice large covered porch. 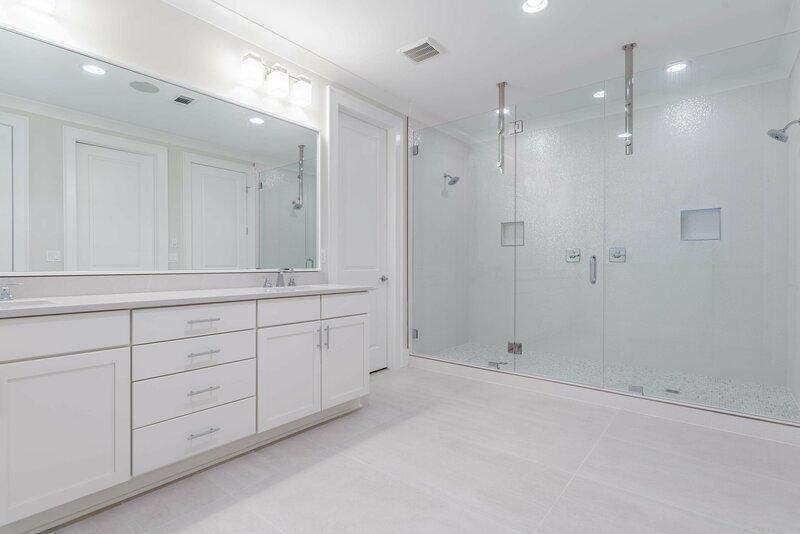 There is a guest bedroom, a full bath and a half bath on this floor. 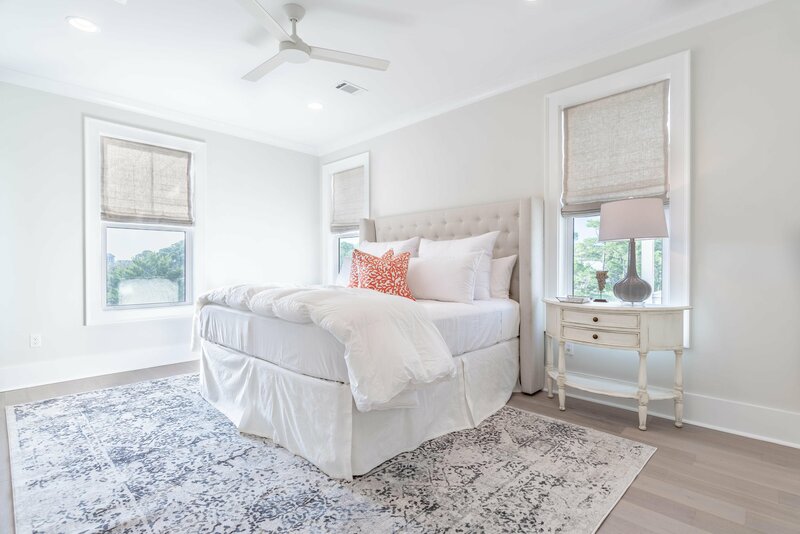 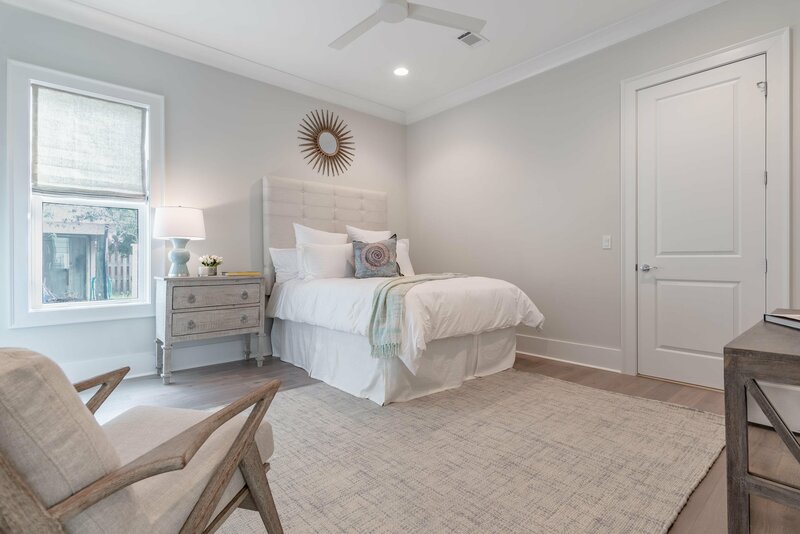 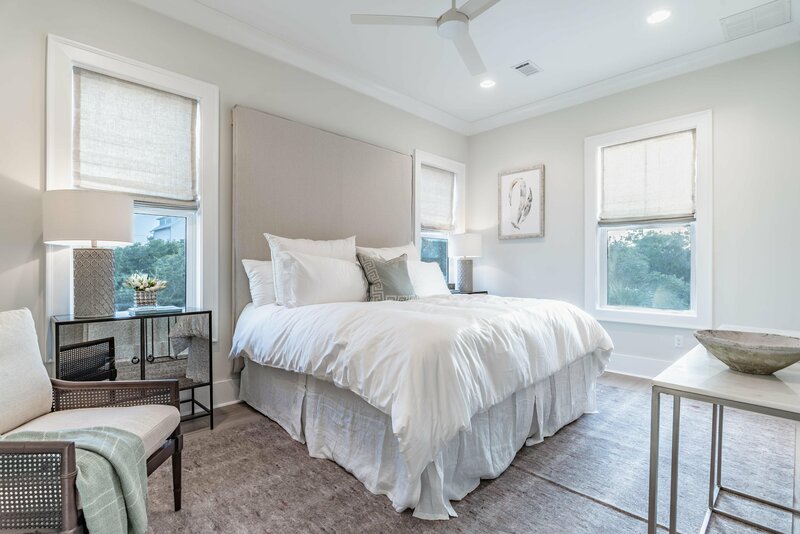 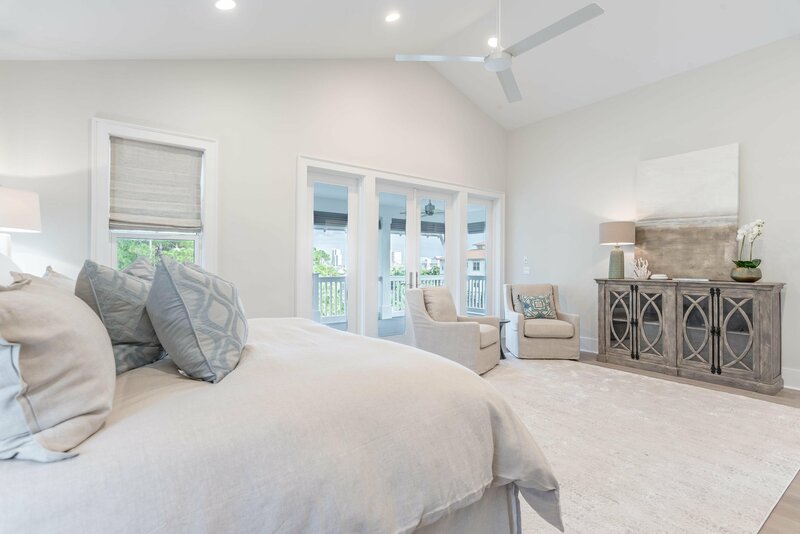 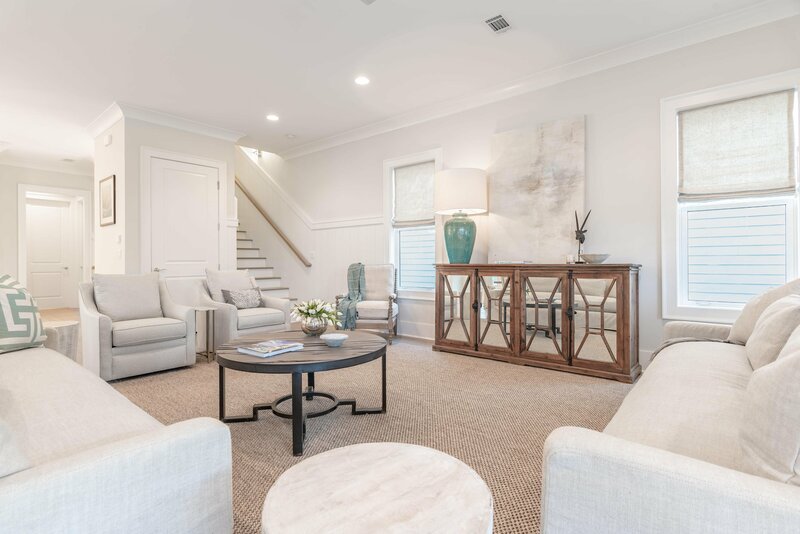 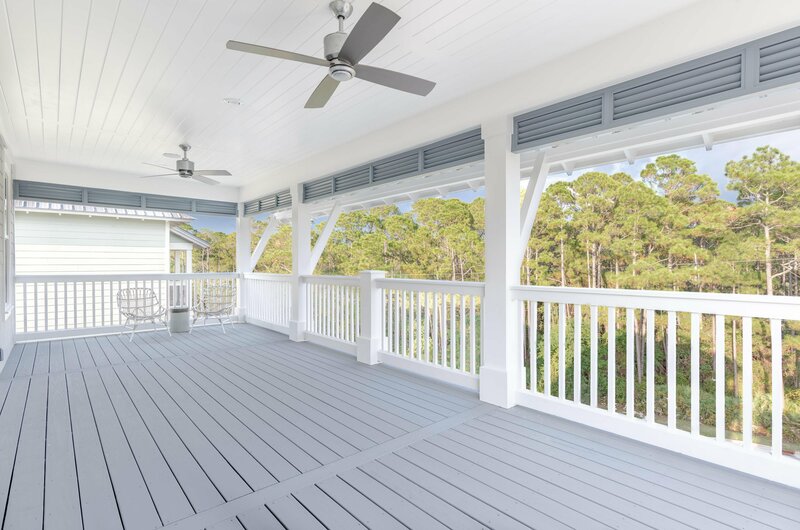 On the 3rd floor is the master suite consisting of a large bedroom with a sitting area, an area for a morning kitchen and a glorious large covered porch with exceptional gulf views. 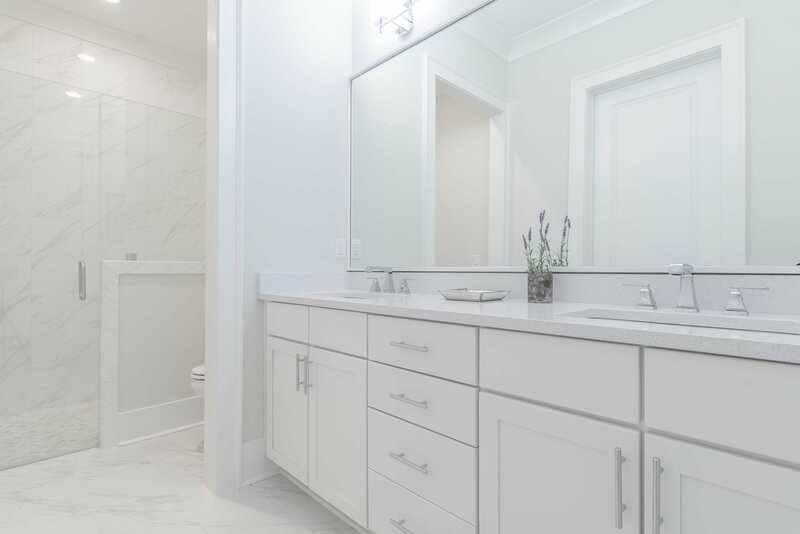 The master bath is large with a walk-in closet, double vanity, tile floors, quartz countertops and over-sized shower. 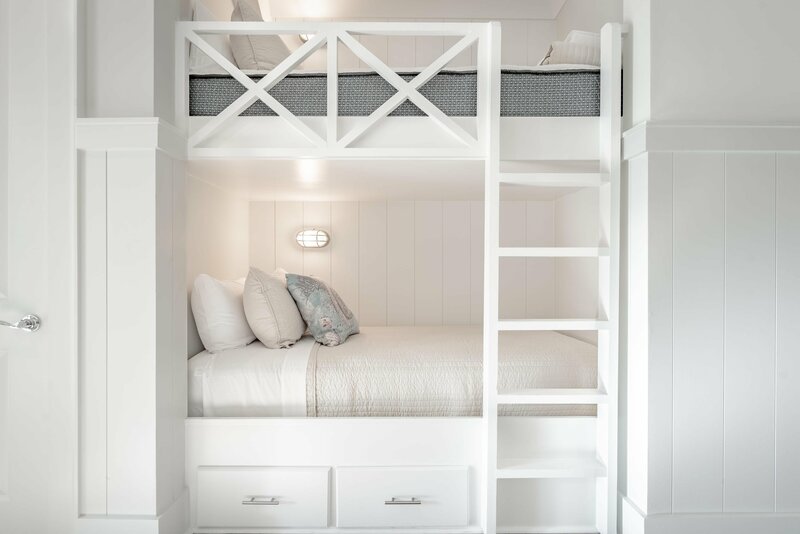 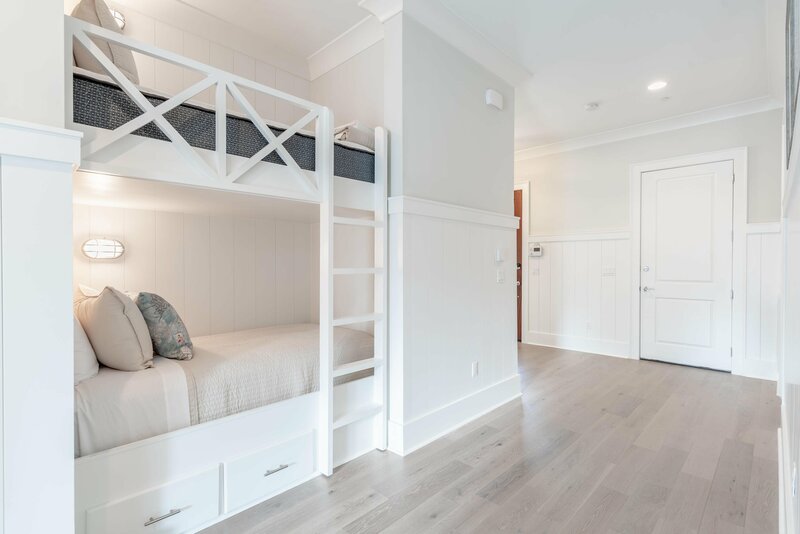 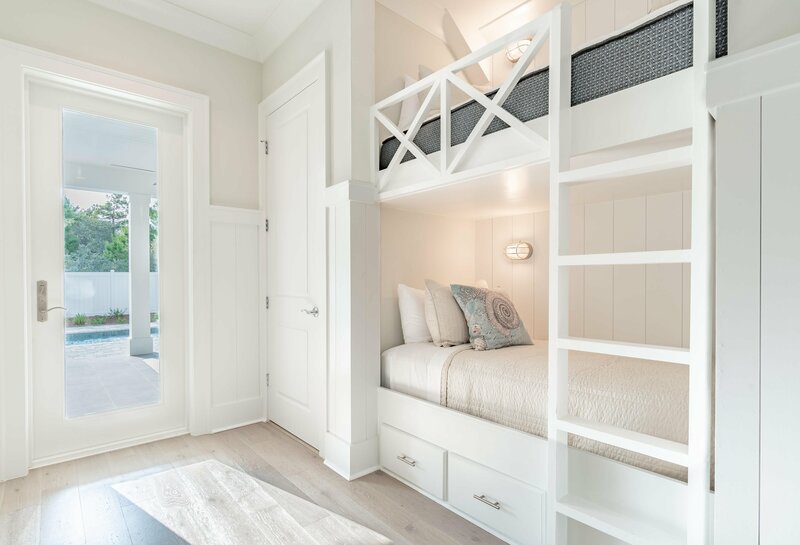 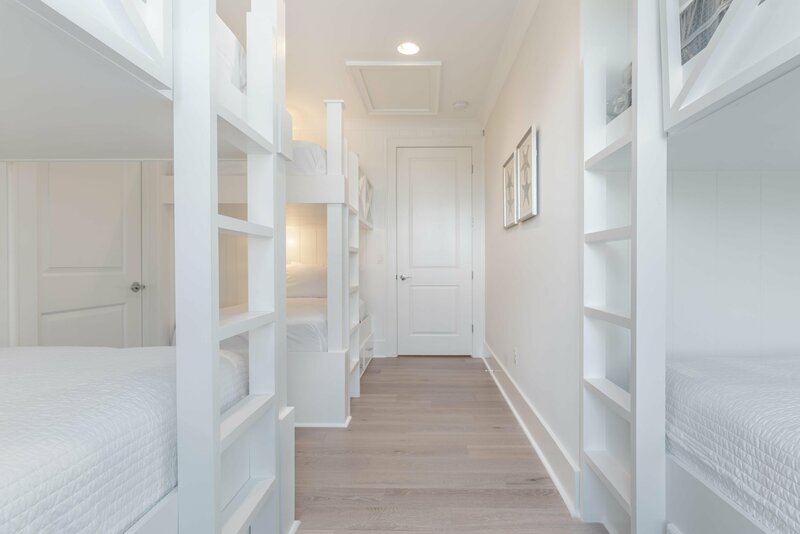 There is also a roomy bedroom with a large closet and full bath, as well as a bunk room with full bath. 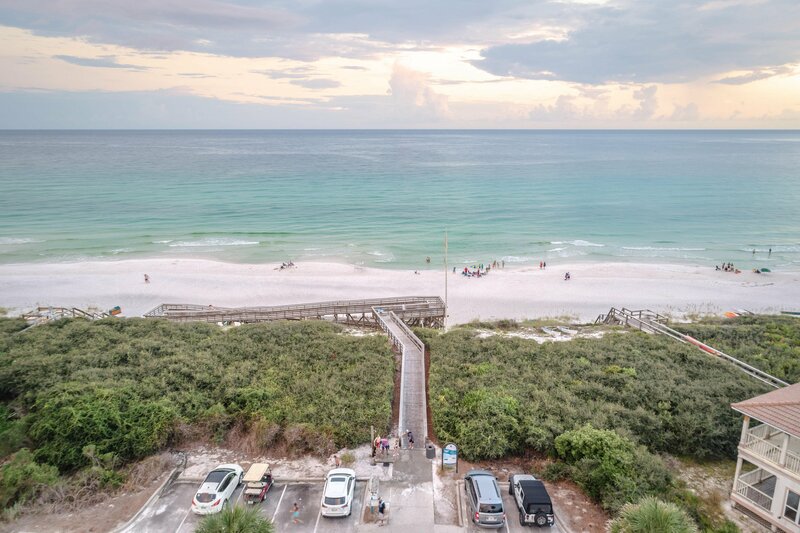 Another added bonus is the ample parking. 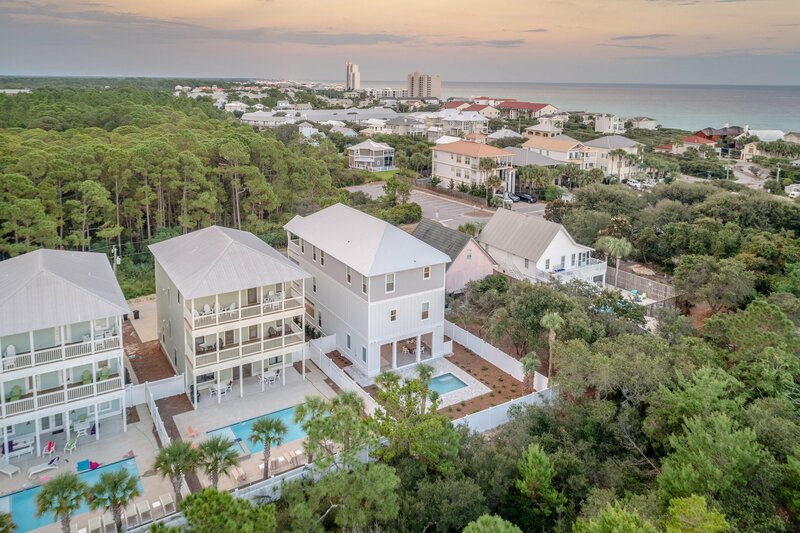 This extraordinary home is a true masterpiece! 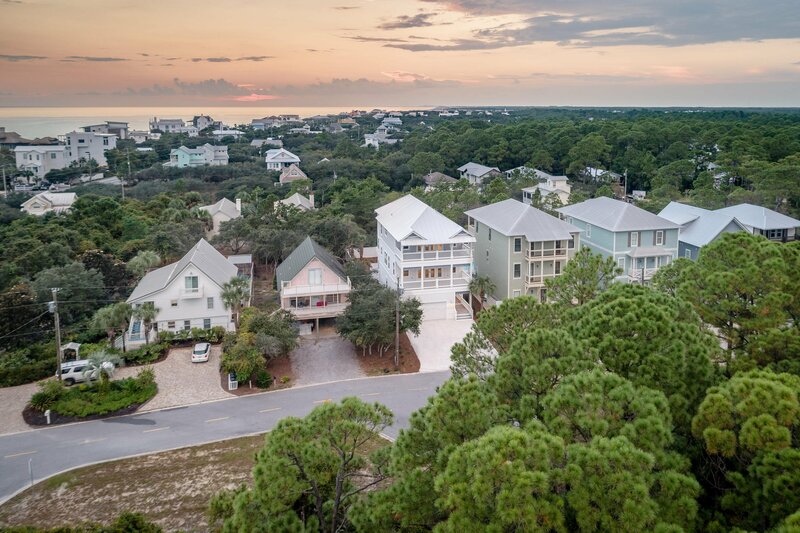 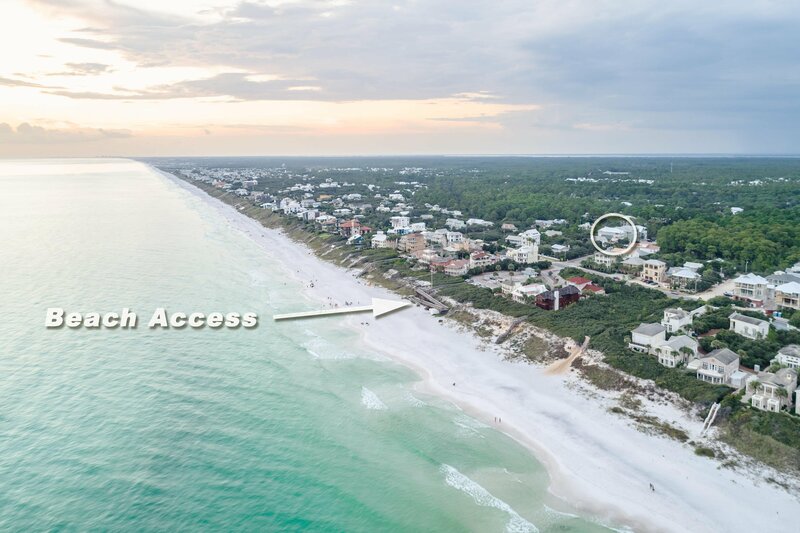 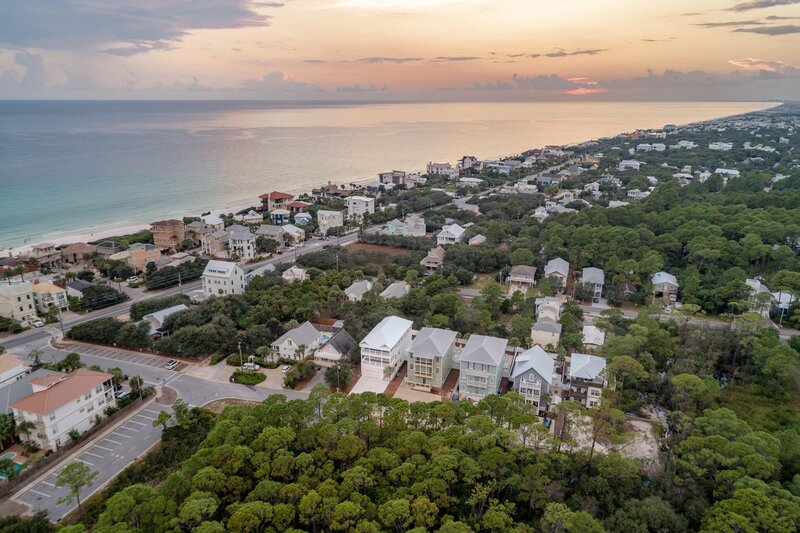 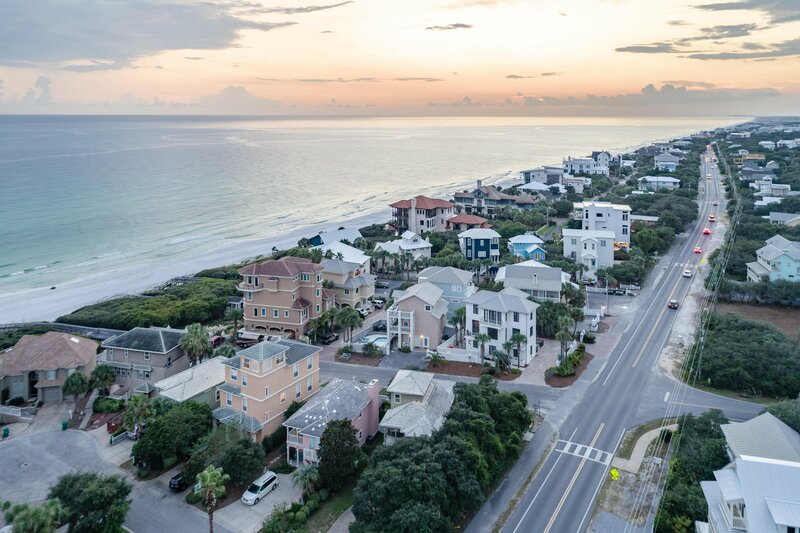 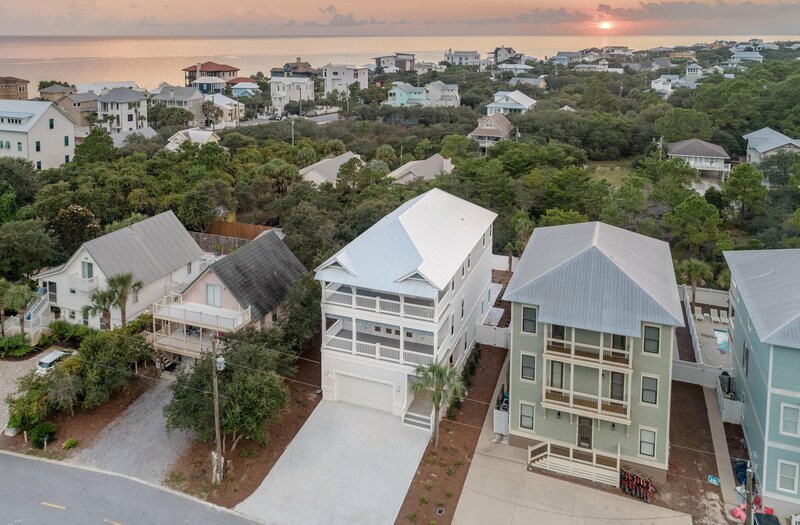 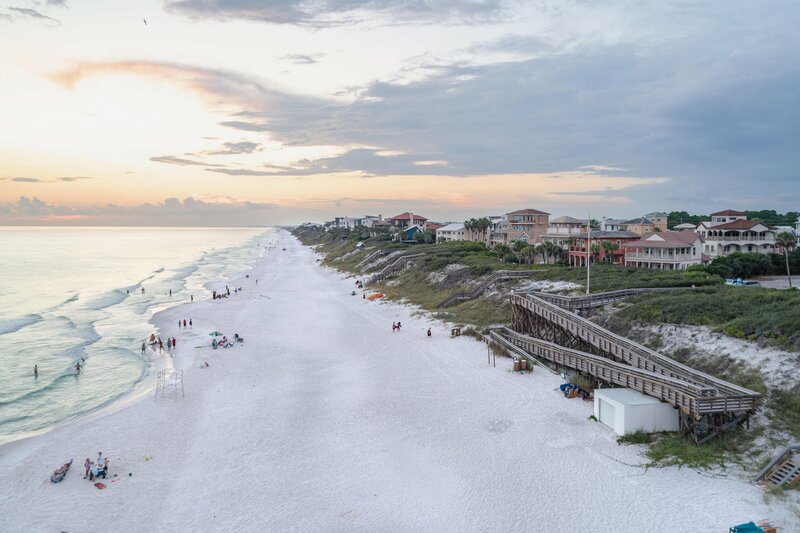 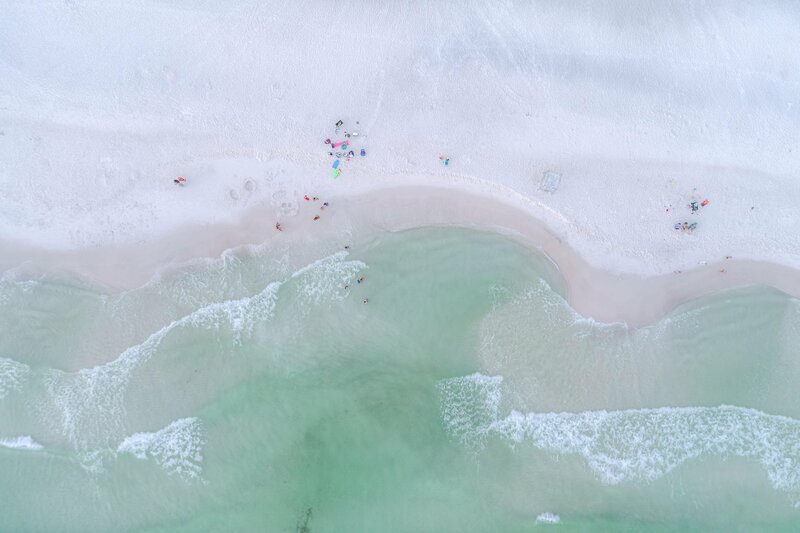 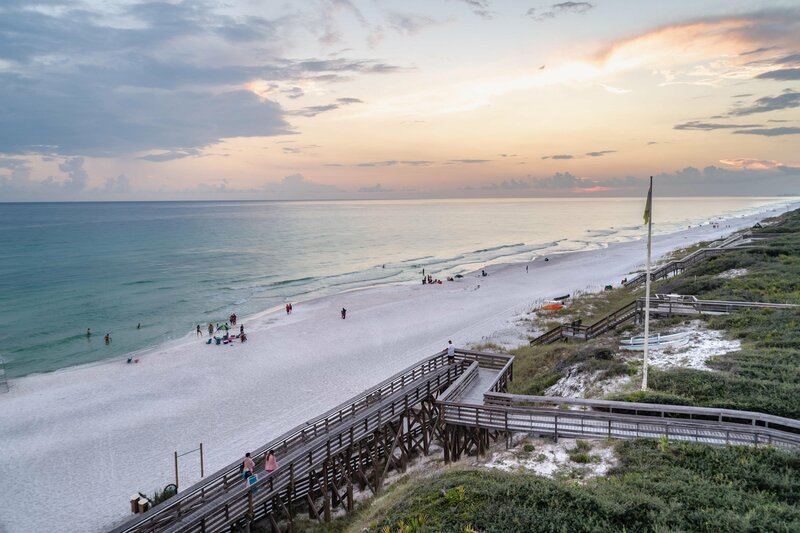 Listing courtesy of 30a Local Properties. 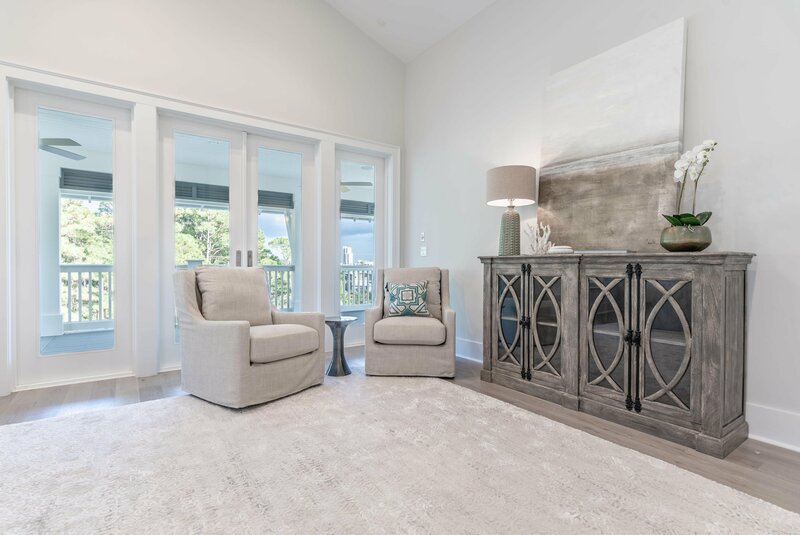 Selling Office: Berkshire Hathaway Home Services Penfed Realty.